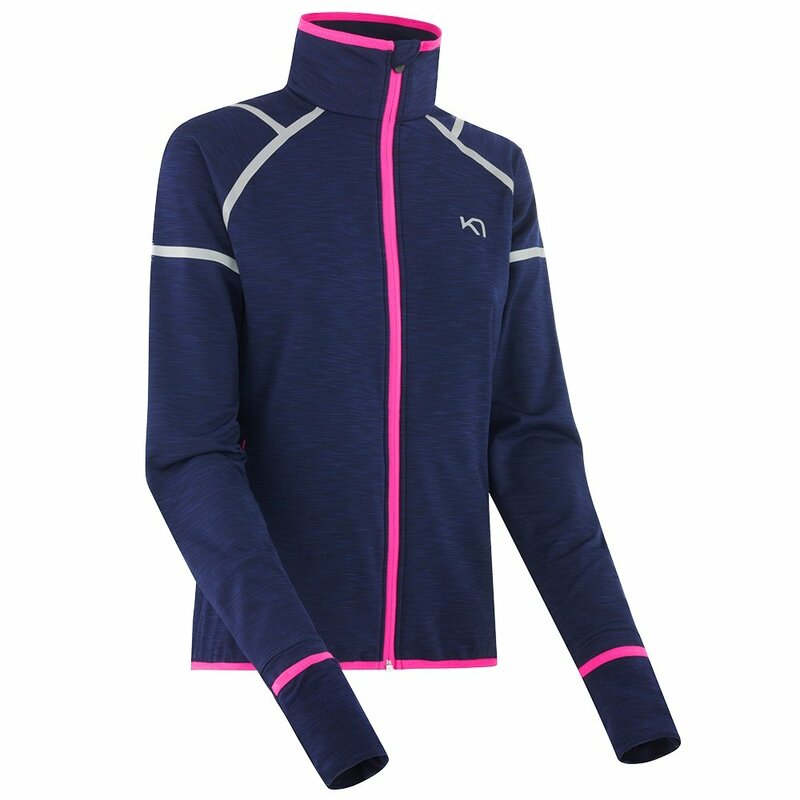 Whether you're running a city marathon or just lapping your local track, you'll feel so much better doing it in the Kari Traa Marika Running Jacket. This lightweight running jacket has a cut that's slim but not tight, ideal for wearing over a fitted tank. Plus, there's no extra baggy fabric to catch in the breeze and slow you down. Better yet, the Marika Jacket has features to keep you warmer than your average windbreaker, like foldover cuffs and reinforced seams. A full-length zipper with chin guard allows you to insulate or allow for airflow.